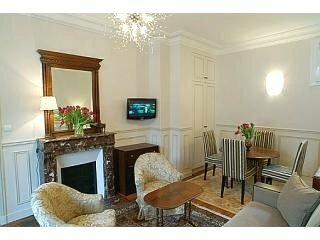 Today we visit Narbonne France and then make our way to Collioure France for a few days of R&R. IBIS NARBONNE was great because the bed was very comfortable, we could open the window and get fresh air, and was very quiet. First thing we needed to go into downtown Narbonne to get a charger for the mobile phone we use in France, but alas the phone store was closed for lunch like most businesses. We had not eaten lunch so we decided to eat on one of the little town squares. For our first meal in France, I had a tasty omellette with mushrooms and fries, while Gildas tried the Salade Niçoise. The anchovies in his salad were more like little sardines rather than the briny little filets I buy in a can at home. These were fresh and delicious. After lunch we finished up our business at the SFR phone store. The store was actually on a 'pont commercial' meaning a bridge with 3 story attached houses built on it, with businesses on the first floor. The only way you knew you were on a bridge over the Canal de la Robine was to look out the back window of the stores. Since we were in Narbonne and it looked so beautiful we decided to spend a few minutes exploring the center square. 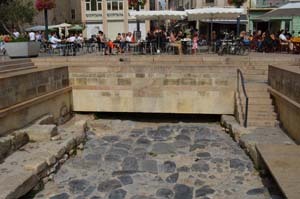 It had been discovered that the Via Domitia ran under the main square, and you can see a portion that they unearthed. The Via had been built by the Romans in the 1st century AD as a road between Marseille and Barcelona. Narbonne was a very important city and rich crossroad for trade for the Romans. So there are many Roman ruins to see. But we can’t see everything much as I’d like to. We managed however to tour the beautiful medieval Cathédrale St-Just (parts of it were built in the 12th century) with its imposing organ. It was now time to head off to Collioure for our 2 days on the coast. 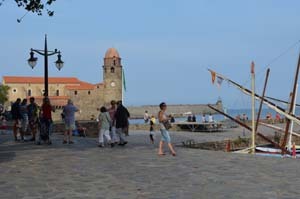 Collioure France is a beautiful picturesque sea side town. (And very popular with the tourists). After checking in to our hotel, Hotel St. Pierre, we walked along the quays. 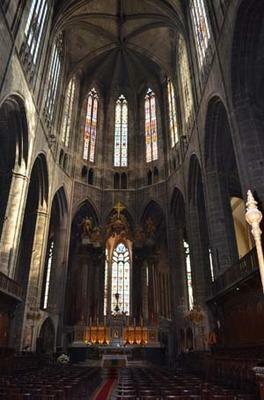 Visited the church Notre Dames des Anges which is on the water. The clock tower of the church once served as a lighthouse. Had dinner looking out onto the Mediterranean at Les Voiles eating delicious grilled Lotte.